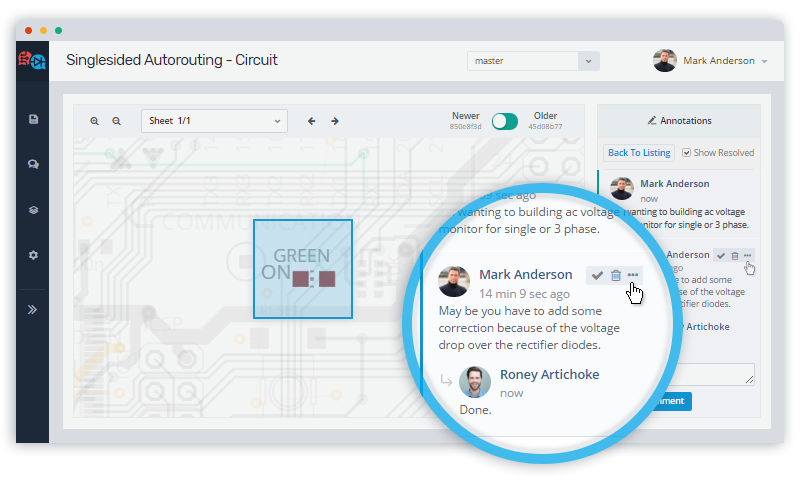 Keep track of all your hardware design versions, visually compare different revisions of schematics and PCB layouts, review changes by your team members and comment on them using interactive annotations. No need to save dozens of files with different names to store your PCB design revisions. Just push a new version of the design into a repository and retrieve it anytime you need it. 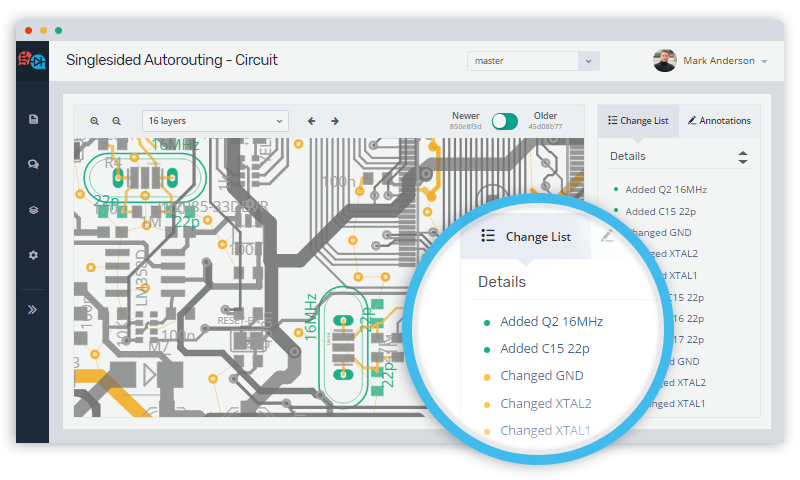 Compare two versions of an Eagle PCB layout and easily find added, deleted or changed components, rerouted traces, repositioned pads and vias and any other changes. No matter how big your design is, you won’t miss even a minor change. 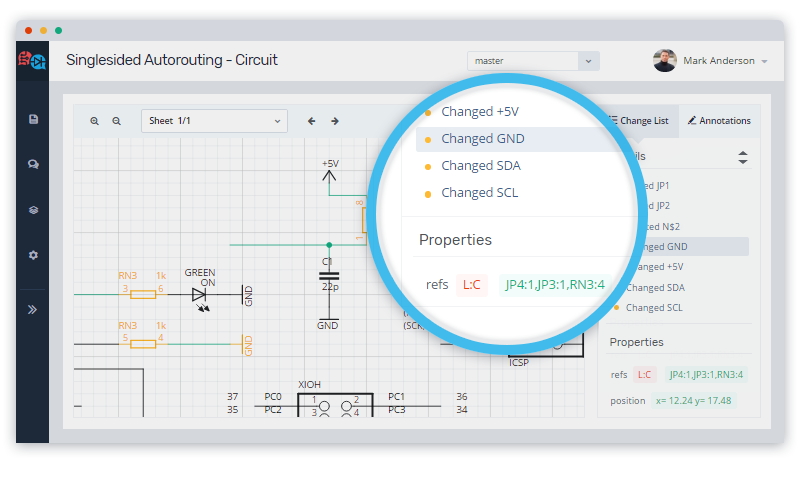 Instantly find out what has been changed in a schematic. See what parts have been added, changed or deleted, what properties of a part have been modified and which nets have been affected. 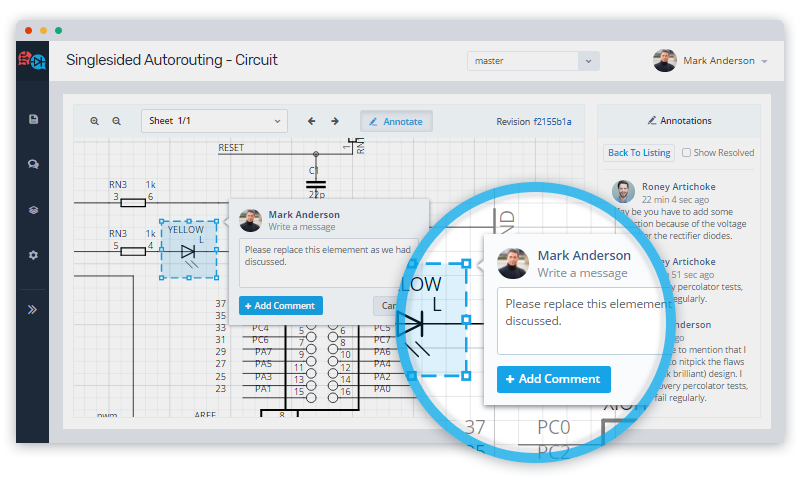 Collaborate around your designs in the cloud, set the right context for your schematic or PCB layout discussion with the interactive annotation tool. It’s easier than making a screenshot. Use PCB design comparison and annotation tools to put in place a design review process. Spot design flaws before printing PCB prototypes, and boost knowledge sharing among team members. Using GitHub for your projects? Great! Connect your GitHub account to CADLAB.io and leverage visual diff tools and smart annotations with your existing repositories. 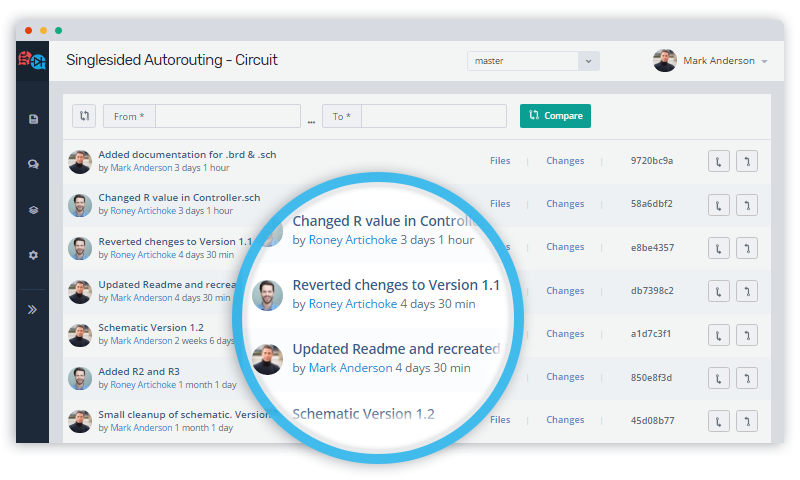 Create an unlimited number of repositories. Keep projects private and collaborate with your team securely or open source them and share with other folks. No need to spend time exporting/importing your designs, just commit your native PCB software files into a repository and get things rolling. Want your vendor to be supported with CADLAB.io? We support Autodesk EAGLE PCB design software, with more to be added. Vote for your favorite PCB design software so that we can add it faster.